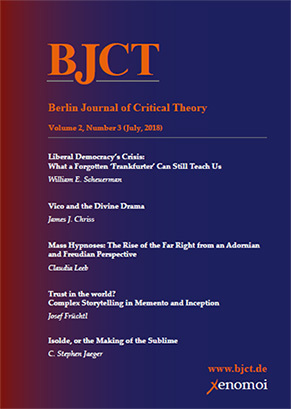 Below you find the list of all published issues of the BJCT. 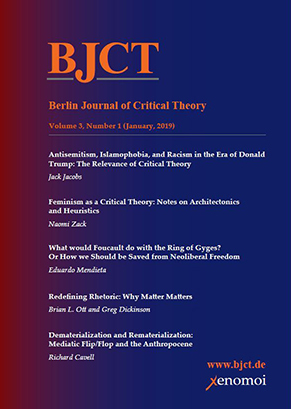 You can download them freely by clicking on the image of a particular issue. 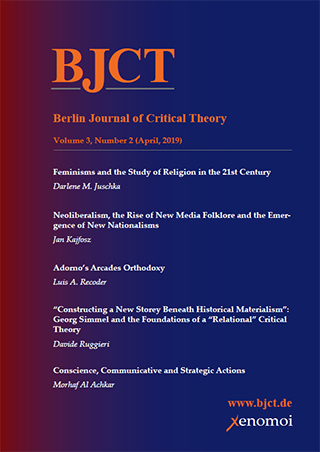 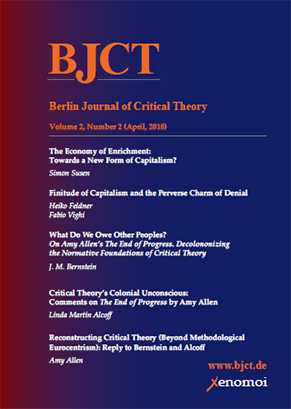 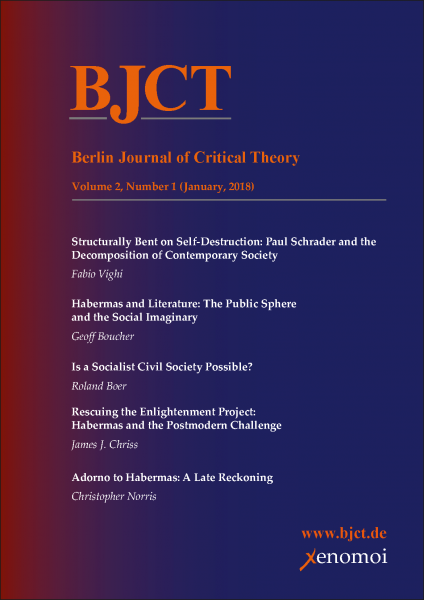 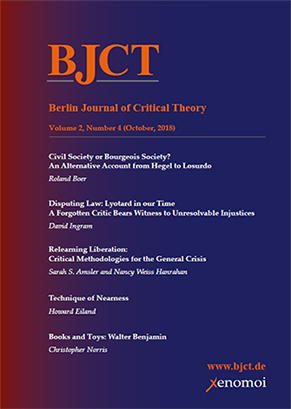 The international identity number of the Berlin Journal of Critical Theory is: ISSN: 2567-4048 (Print) / 2567-4056 (Online).